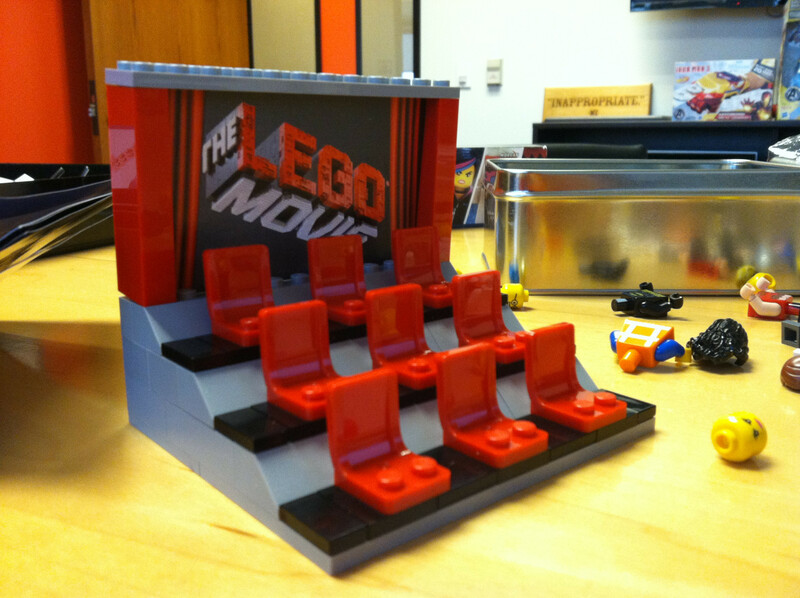 From time to time, there are some there are some promos that are sent out to various people to promote a certain movie. 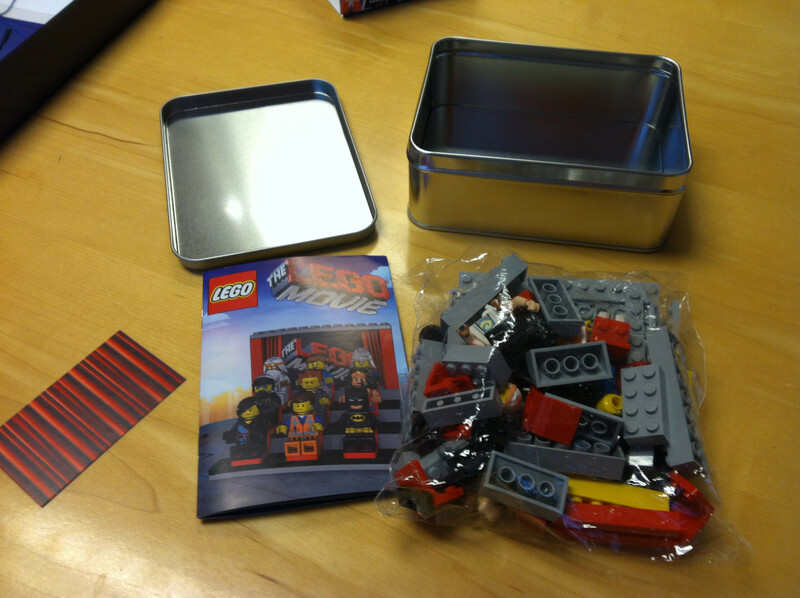 A lucky individual by the name of matchity on Reddit has gotten a hold of a promo tin of The LEGO Movie. 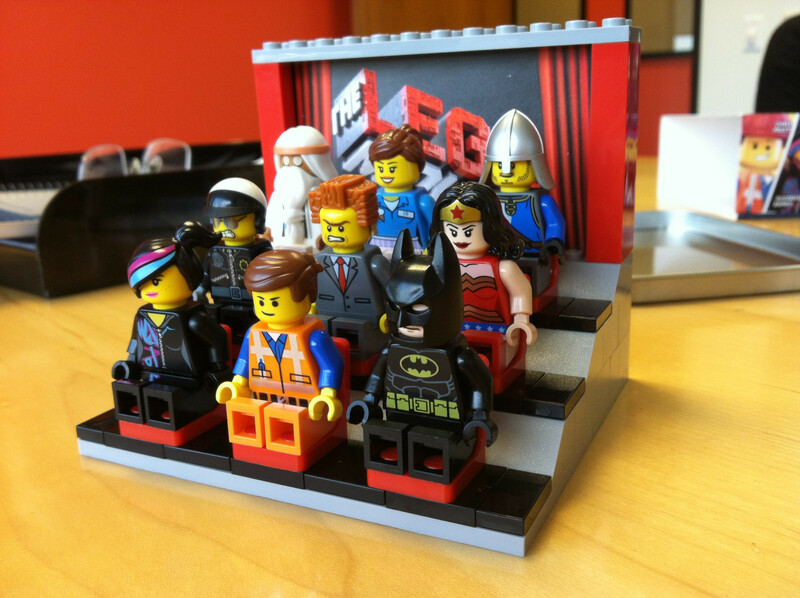 It is filled with instructions of a theater setting with 9 minifigures included: Wyldstyle, Emmet, Batman, Bad Cop/Good Cop, President Business, Wonder Woman, Vitruvius, Ice Cream Jo, and a Gallant Guard. 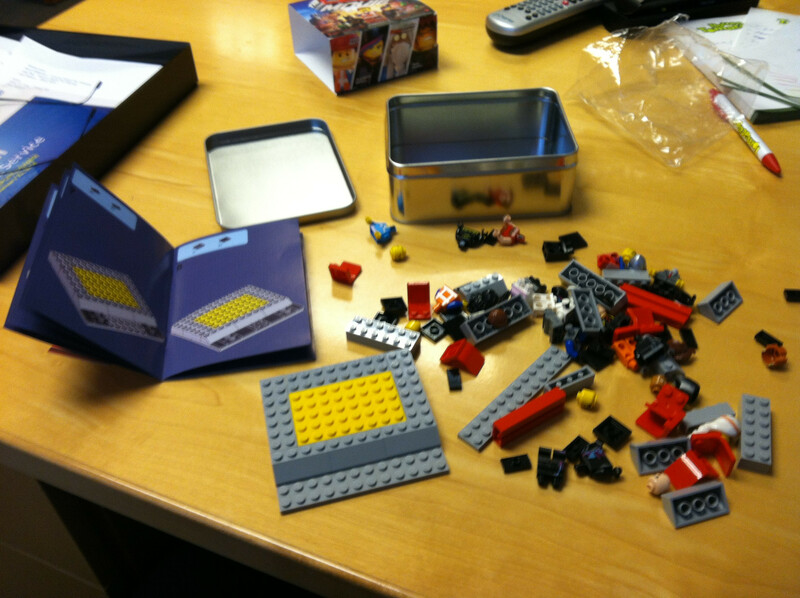 Regular folks like us probably won’t be seeing this set anywhere but you can get one off of eBay . 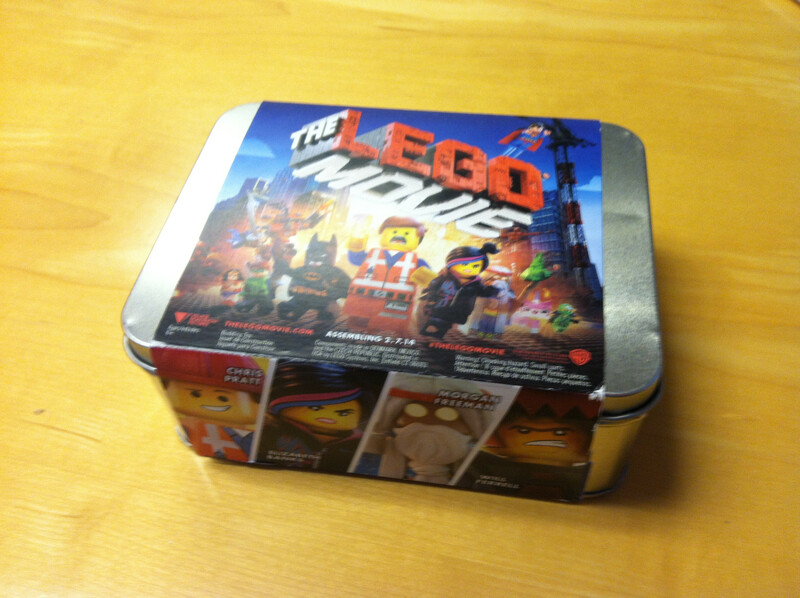 Again, this tin is sent out to various media outlet to help promote the upcoming movie.